This is one of my favorite "In 5 (minutes)/Under 5 (dollars)" challenges, and I think you're going to love it because it takes only ONE minute and it's FREE! It was an awesome way to celebrate Halloween early last year and I'm glad we get to do it again. 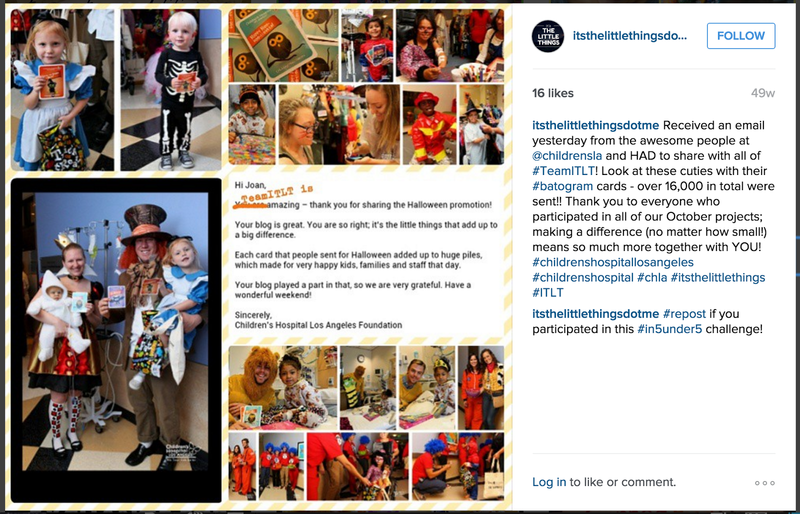 I was so happy to hear that many #TeamITLT members participated last year! No sign-up required for this super easy and adorable way to make a difference. Send a Bat-o-gram to a child spending Halloween at Children's Hospital Los Angeles (CHLA). Wish them a FRIGHTFULLY FUN Halloween with one of these adorable cards below. Such a sweet idea and just a quick click away! PLUS! For each card sent before October 29, Capital Group has pledged to donate $1 to CHLA, up to $15,000! 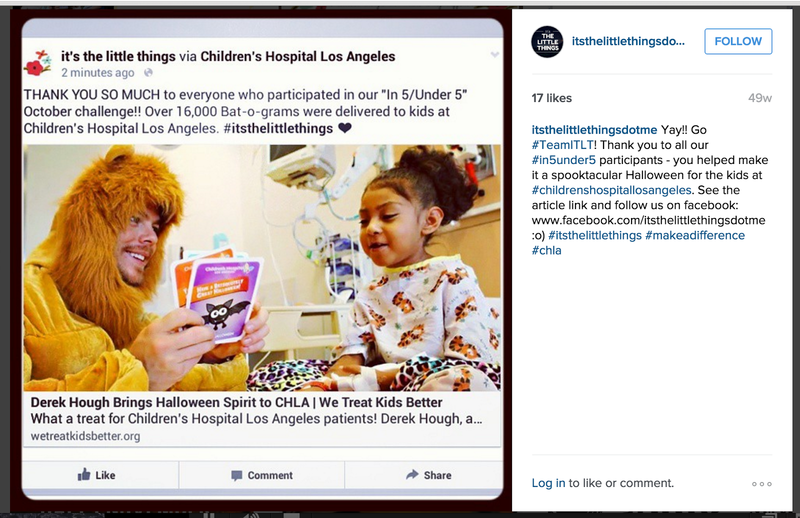 Send your card today and CHLA will print and hand-deliver it along with fun goody bags with their Halloween festivities. Check out how cute these are this year... it's almost too hard to choose which to send! Which will you pick? My suggestion would be to really take a moment and write a personalized messaged to accompany your card. I love that this is an option! Feel free to lead with one of these pun-tastic one-liners, but a special message will definitely leave a lasting impression... and smile! Have a Batsolutely great Halloween! Have a hauntingly good time! 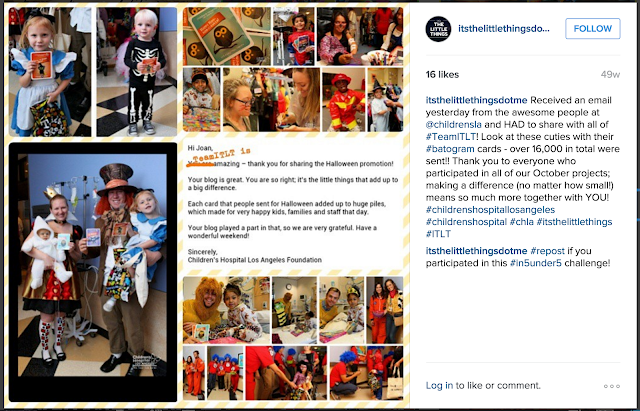 Team ITLT: If you know of any other hospitals or organizations that make sending holiday greeting cards so easy, please share them with me! We would love to offer more of these opportunities. While you're in the Halloween mood, check out our decoration and goody bag ideas for some hauntingly good fun! And here's a reminder of our efforts last year... follow us on facebook and instagram for more! Where will you be participating from?